PORCELANOSA’S HOUSTON LOCATION IS NOW OPEN TO THE PUBLIC! 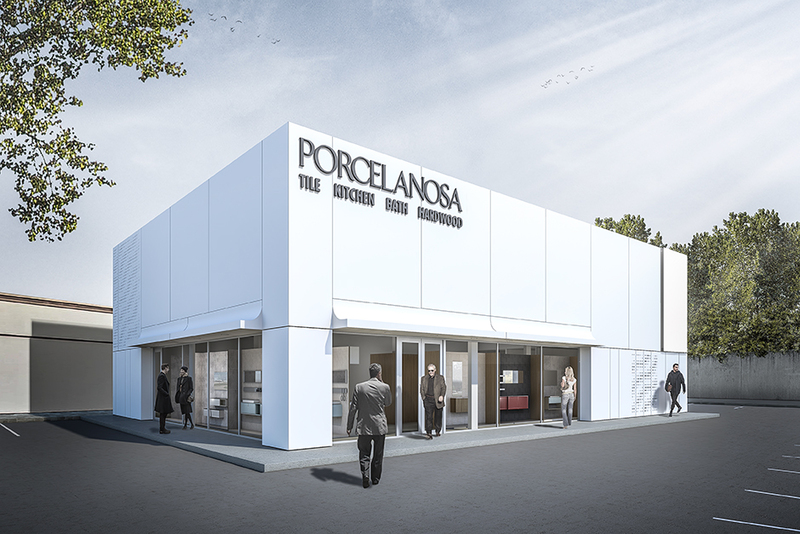 The new Porcelanosa Houston location will be a resource for design professionals and offer consumers in the area the opportunity to receive a luxury experience and the best advice possible in everything related to tile, bath and kitchen offerings. The Porcelanosa Houston showroom is built out of KRION®, Porcelanosa’s signature solid surface material, and is the first building in the United States to have a ventilated facade made out of this material. The Houston showroom will display full scale vignettes that show tile and bathroom installations, full size European-styled kitchen displays, and specialized sections on natural stone products, hardwood products and KRION® solid surface material. The showroom also has a dedicated professional area that includes an up-to-date product library that contains over 1000 product references for members of the design community to use. View showroom information here. | View more photos of the showroom here.